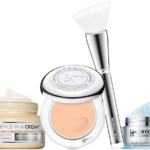 If there’s one thing IT Cosmetics™ does well (among many! ), listening to it’s customers is tops. 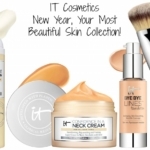 To celebrate their loyal customers, IT Cosmetics has put together the “IT’s All About You! 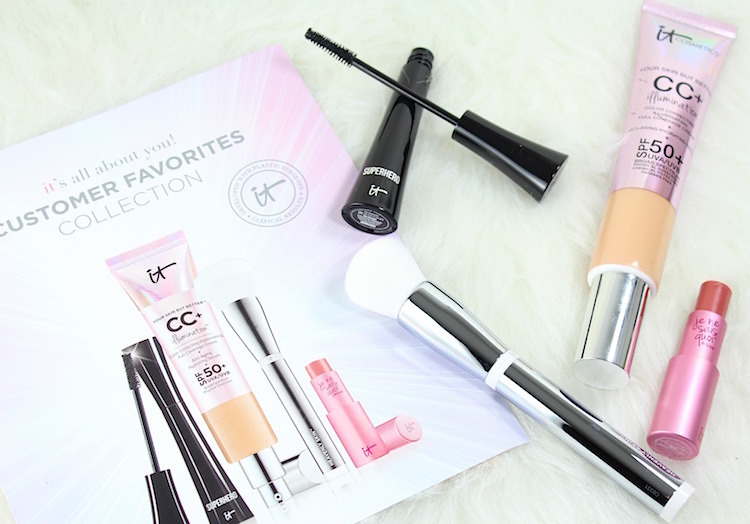 Customer Favorites Collection” featuring four of the most loved, best-selling IT Cosmetics products! The “IT’s All About You! 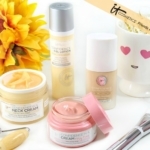 Customer Favorites Collection” will be featured prominently on Saturday as a QVC Today’s Special Value, but because of numerous requests, they’re actually having a pre-sale a few days early. That means you can shop and save on this collection NOW. 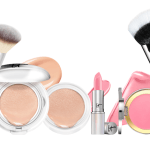 The collection includes four full-sized pieces for under $60! 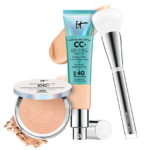 Supersize CC+ Illumination™ with SPF 50+: This full-coverage CC cream foundation illuminates skin, while protecting with SPF 50. 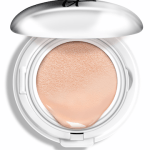 This formula offers UVA/UVB protection, and there is no greasiness or whitish cast. You’ll get to choose from Fair, Light, Medium, Tan, or Deep. Heavenly Skin™ CC+™ Skin-Perfecting Brush: Perfect application tool for the CC+ Illumination™, this luxe brush can be used with powders, foundation, skincare and all complexion products. What’s really neat is that this brush is infused with anti-aging collagen, silk, niacin and antioxidants! Superhero™ Elastic Stretch Volumizing Mascara is an excellent volumizing mascara. The “Elastic Stretch Techology” coats and lifts each lash. I like the brush, which is easy to work with and grabs every lash for ultimate coverage. Je Ne Sais Quoi™ Hydrating Color-Awakening Lip Treatment in Rose is a hydrating lip treatment with peptides, nourishing butters and oils, and hyaluronic acid. I love this new shade! 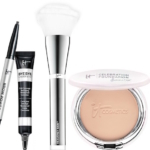 It gives a natural flush of color which is much more flattering on me than the original shade. 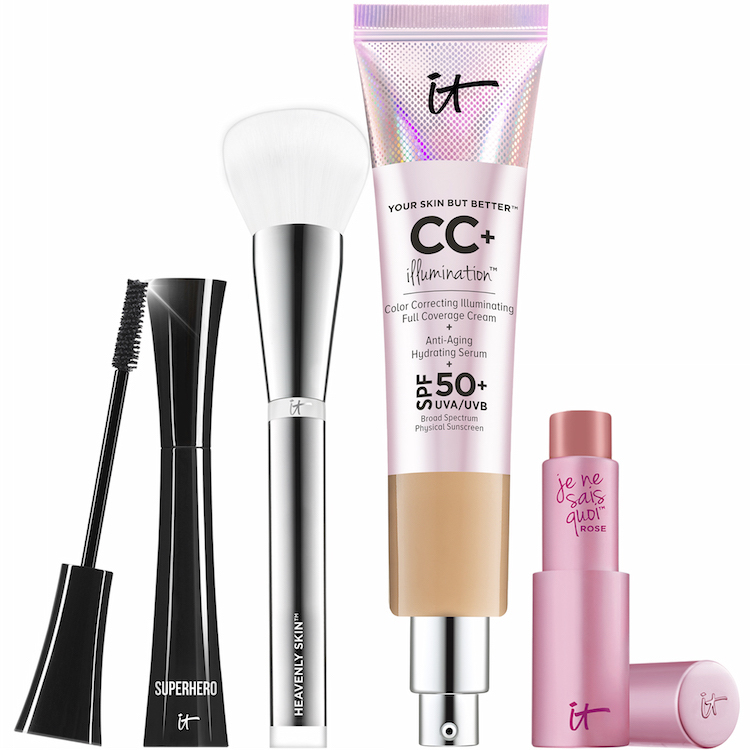 The IT Cosmetics™ “IT’s All About You! Customer Favorites Collection” Today’s Special Value® (item A287725) will officially debut on QVC® Saturday, March 18, 2017 at midnight (ET) and will be offered for one day only. However, you can purchase NOW, and get the same special pricing. Will you be picking this collection up?